Toronto based Hip Hop artist Dru Bex has released his new single 'No Exit'. "No Exit is about being determined to chase your God given dreams with all you have today, while believing that He’s got your tomorrow in His hands", explains Dru. 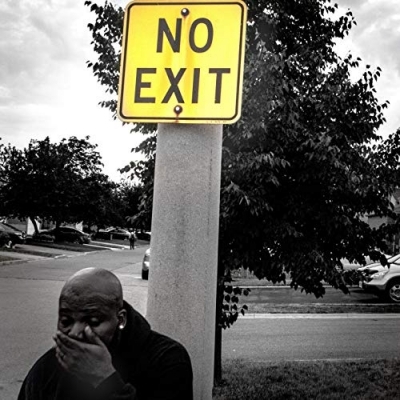 Read More Toronto based Hip Hop artist Dru Bex has released his new single 'No Exit'. "No Exit is about being determined to chase your God given dreams with all you have today, while believing that He’s got your tomorrow in His hands", explains Dru. Born and raised in Toronto, Canada, Dru Bex was exposed to the world at a very young age. Losing his mother at the age of 7, he navigated the streets of Toronto with the values that she instilled in him. Music was the means by which he could express his frustrations, joy, fears, and desires. He connected with some young men in his church to form Christyle, where he gained experience performing, collaborating, producing and writing. These days, those values can be heard in Dru’s music as he raps and sings about life from a spiritual perspective, telling his story while offering commentary on the world as he sees it. Offering candid revelations about everything from his marriage and recent fatherhood to relevant social issues. Dru’s music has taken him to stages all across the United States and Canada. He has been an official performer at SXSW, performed live on TBN in front of a packed Los Angeles crowd and made it to the final round of Rapzilla’s 16 bar challenge at The Legacy Conference. Dru frequently collaborates with others and some notable names are Social Club Misfits, S.O. of Lamp Mode Recording and Alex Faith just to name a few. Phanatik of the legendary Cross Movement has referred to Dru as “a more lyrical cat” and has featured him on his Lost Files release, choosing Dru’s verse over many submissions from across North America. Dru has a heart for his community and seeks to reach the youth through school and local outreach, participating in free community haircuts and giving work shops to inner city schools around the city. When all is said and done, Dru says his main goal is to bring a message of hope found in Jesus, to the world that desperately needs it.